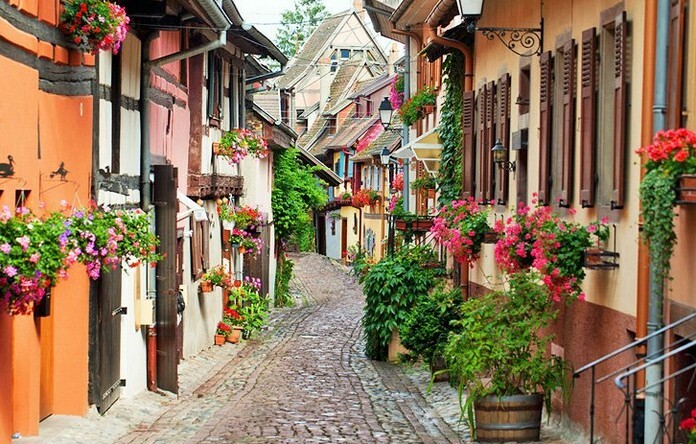 Considered one of the most beautiful towns in Europe, every street in the beyond-ridiculously picturesque, medieval Alsace town is an explosion of color. 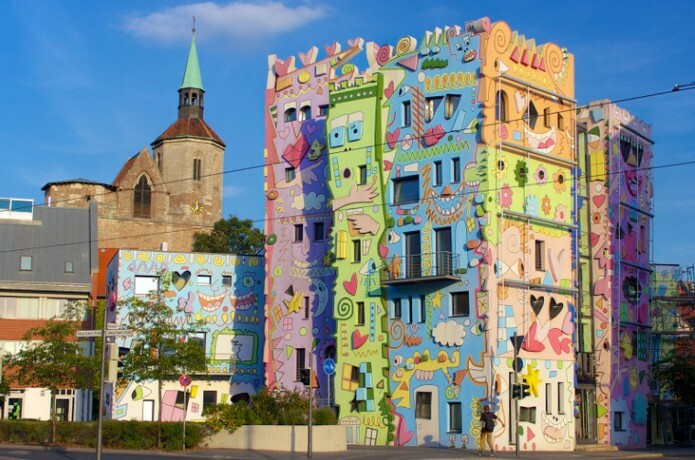 Painted by American artist James Rizzi in his distinctive graphic illustrative style, ..the Happy Rizzi Haus may have divided opinion between the young and old residents of Braunschweig, but it’s certainly brought colour to Ackerhof. 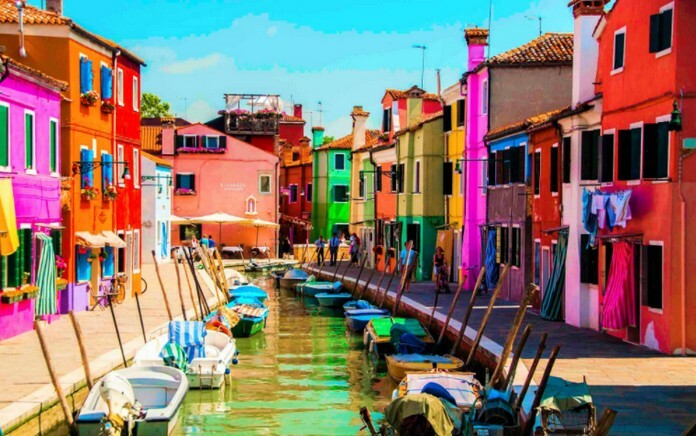 You can’t move for brightly-coloured fisherman’s houses on the lace island of Burano, situated in the Venetian lagoon. 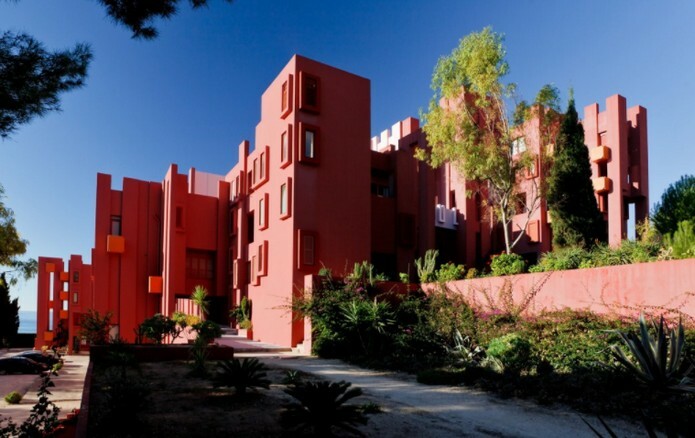 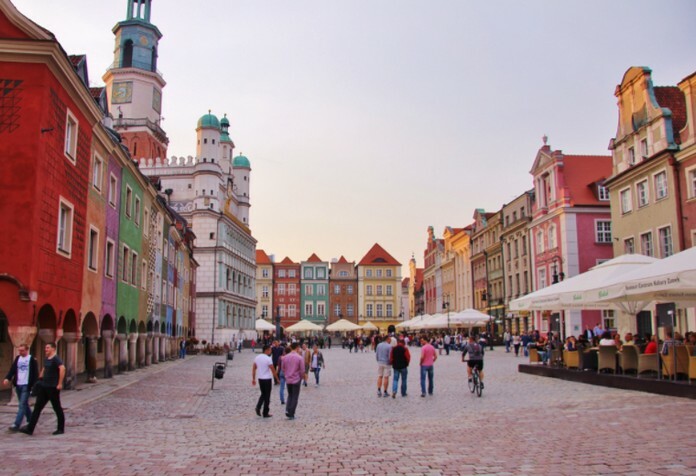 Keeping to a strict colour scheme, which has been in place since the founding of the island, residents cannot paint their houses in one of the rainbow colors without first getting permission from the government. 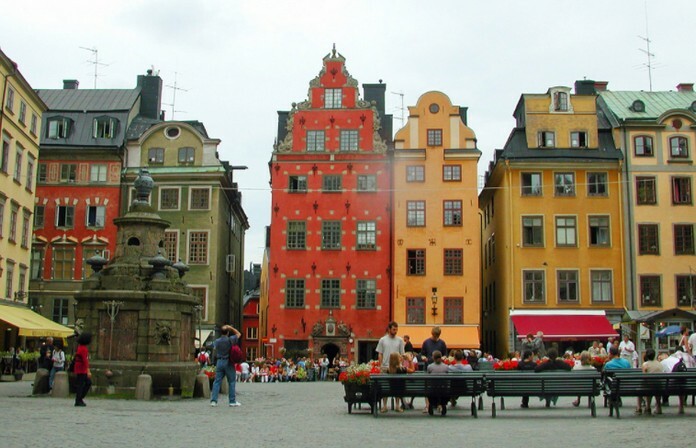 Stortorget, Stockholm’s oldest square, is known for two things: its famous Christmas market, and the strikingly-painted 17th-century merchants houses. 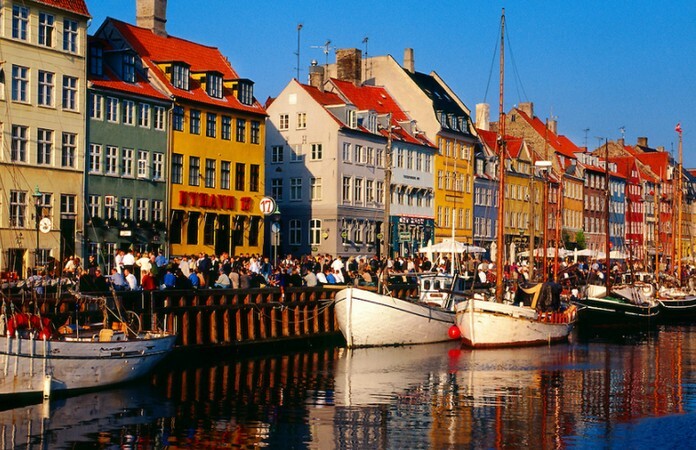 We can’t get enough of the colored 17th-century buildings that line in Copenhagen’s old harbour of Nyhvn, where the writer Hans Christian Andersen lived. 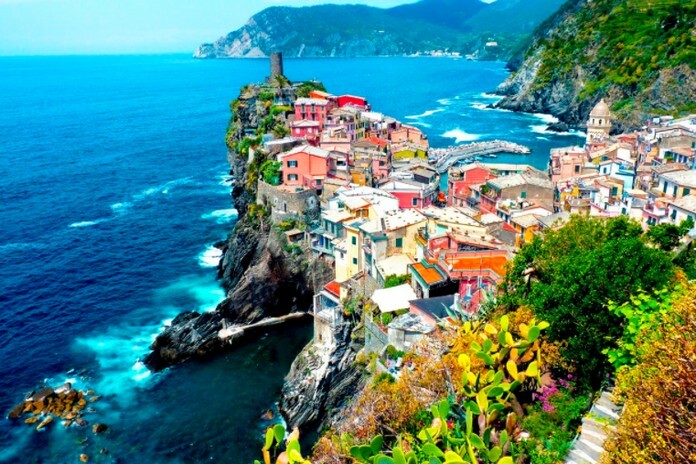 Part of the Cinque Terre Italian Riviera, all the buildings in the small seaside town of Vernazza are a vibrant array of summery oranges and yellows. 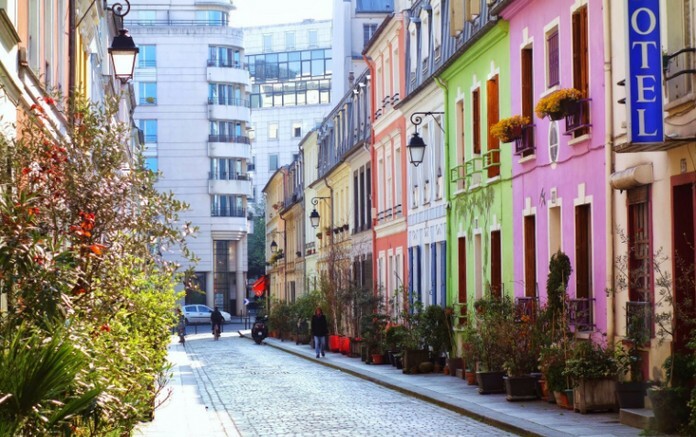 Just a short walk from the hustle and bustle of Gare de Lyon in the 12th Arrondissement of Paris, there is an enclave of pastel heaven. 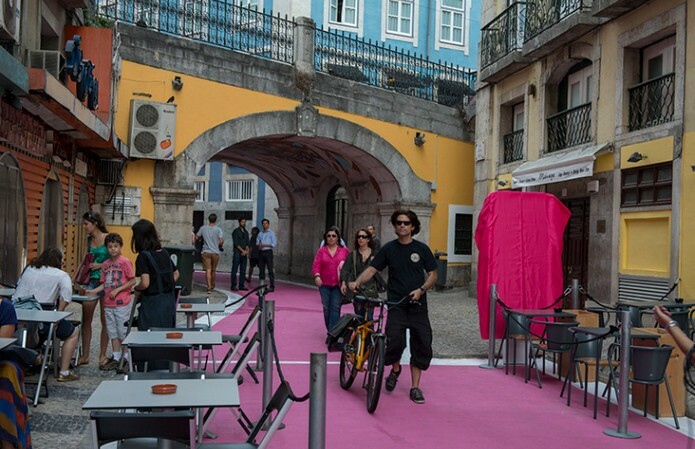 Known for its uniquely tiled buildings, Lisbon is a warren of brightly-coloured streets, many of which can be found in the old town.